So that’s how Eric Prince finds his Blackwater goons! 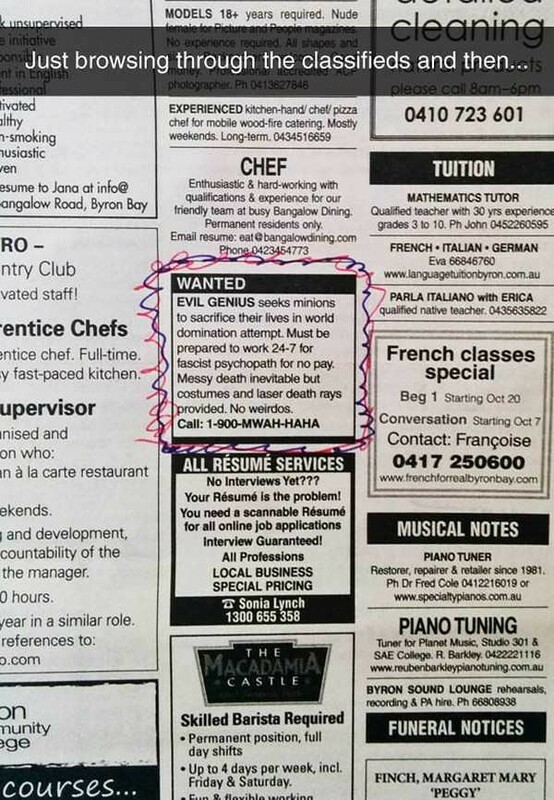 This entry was posted in Badvertising. Bookmark the permalink. 4 Responses to Bad Ads, Cont. Awesome that it’s a 900 number, so someone makes money if anyone calls. Assuming of course that the vanity number was actually available. I heard it forwarded Mnuchins wife’s cell phone. Kellyanne is armed with a laser death ray. Better watch out.